Gum disease, also referred to as periodontal disease, can be a painful condition resulting in infection elsewhere in the body if not promptly addressed. The Miami One Dental team is skilled at performing the deeper cleaning that may be required and can spread appointments out over time to make it more manageable for you. Even those who strive for healthy brushing and flossing habits along with routine dental checkups can experience a buildup of plaque. As it hardens and forms into tartar, these buildups can be difficult to remove. Your gums may then become irritated or inflamed. If left untreated, tooth loss can result, as well as the spread of the infection, which will affect your immune system. Gum disease has even been linked with health problems including diabetes, stroke and fertility issues. 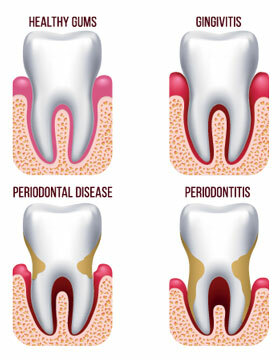 The treatment of gum disease begins with deep cleanings that remove the infection from your mouth. More than one may be required. During the procedure, special instruments will remove the buildup from the surface of the tooth root and in the pocket formed where the gum has started to come away from the tooth. Your recovery is closely monitored, and we review all home hygiene care to ensure your recovery and the maintenance of your oral health. Over time, we hope to see the soft tissues attach again to your teeth. Get started on improving your oral health. Contact us today to schedule your appointment or discuss periodontal treatment in Miami! We offer same-day visits.